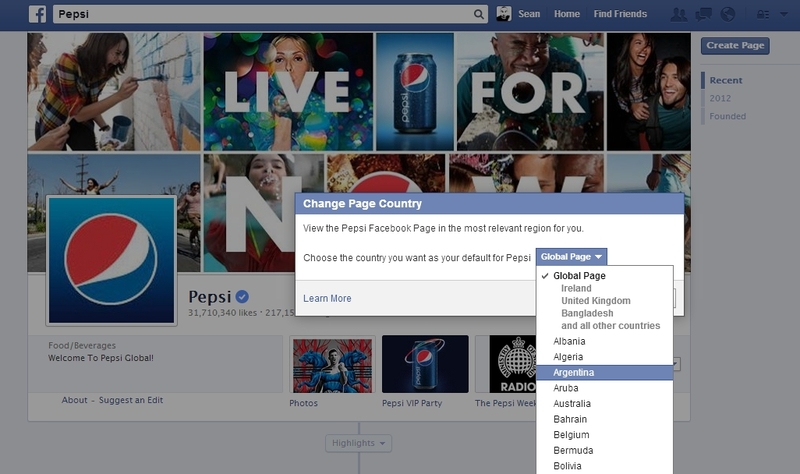 A couple of years ago, Facebook launched ‘Global Pages’ for brands which allows them to maintain one global identity and promote one global url whilst still offering a personalised, local experience for a brands customers. 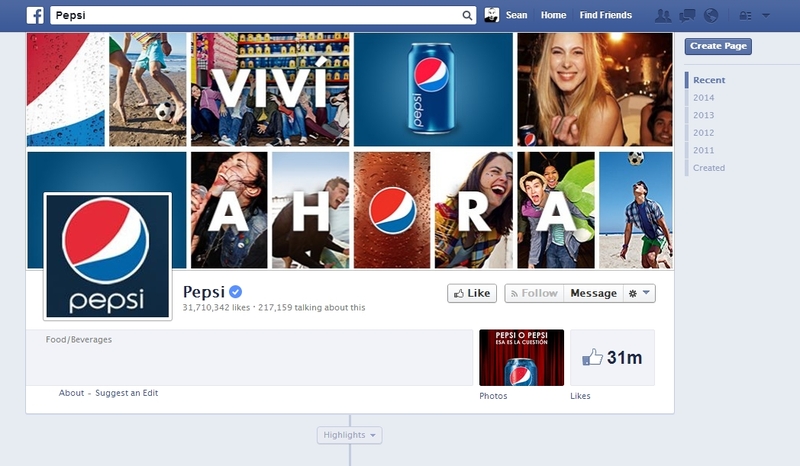 As you can see in the screenshots above, even when we change the region to Argentina, the like count remains at 31m… this is perhaps slightly misleading and something you need to be aware of if you’re crunching the numbers for big brands in specific regions. 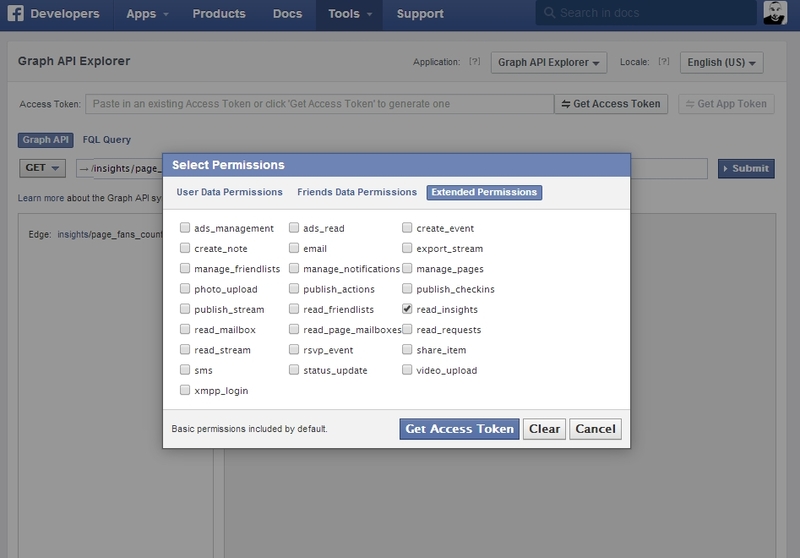 Sign up as a facebook developer. It’s free as doesn’t take long. And no, you don’t actually need to be a developer to sign up. 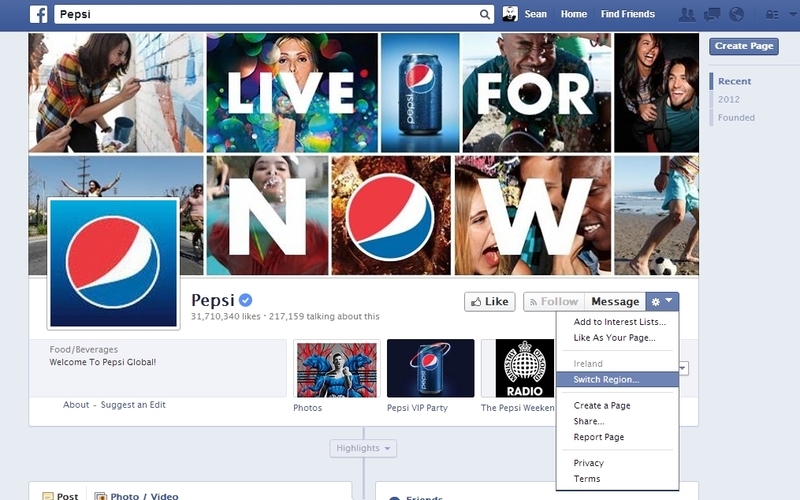 You simply replace the bolded bits with the brand page name and your own access code. The access code will also expire regularly so if you get an error message, try generating a one.